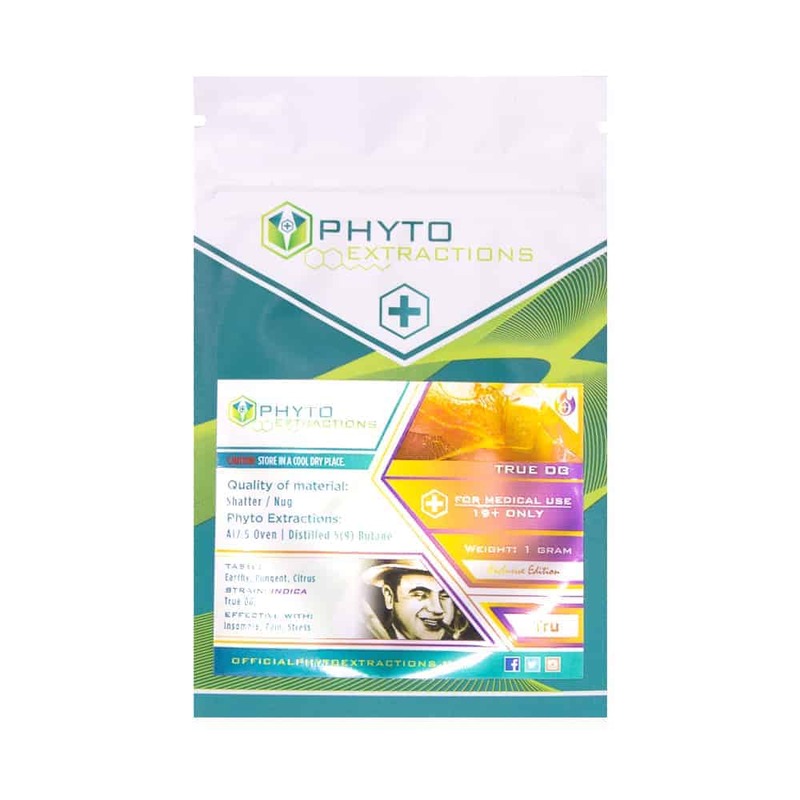 3 reviews for "Phyto – True OG – Indica Shatter"
Loobiedoobie review: I recently sampled true OG from phyto and it was a very nice shatt. When you’ve tried many diff shatts from phyto and other brands they all become almost the same..but once and awhile you try a shatt that blows you away, and you remember the high after the shatt is gone. That is what this one is like for me. It has a nice light gold appearance, easy to break off dabs and it has that sort of citrus/tropical taste. A nice head high, good for the active smoker. Smokes good in a banger! I recommend this shatt as its nice tasting and hits you hard, good for anytime of the day! This is a very nice stable quality product, clear yellow with a hue of orange, love the dabs from this strain!